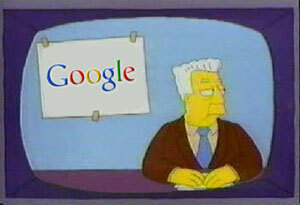 I didn’t bother to blog about the Google and GeoEye announcement (Google launches satellite?? Are you kidding me Information Week?) from a couple weeks ago (or was it a couple days ago?) because I really didn’t see what was so newsworthy about it. It isn’t like this is the first announcement we’ve seen from Google and a satellite company. Plus Microsoft even went out and bought Vexcel (hmm didn’t blog about that acquisition either). I just don’t care too much about these deals as they don’t affect me in any way. I still aquire my imagery the way I did before and I still use the free services the way I did before. The only thing this confirms to me is that you can’t make money from selling sattelite imagery on an open market, you need a sugar daddy to pay the bills. I guess that is what is the most telling thing out of this announcement, GeoEye’s and Digital Globe’s business models are broken.